A magnitude 5.6 earthquake caused tremors to be felt in Martinique, Dominica and St Lucia at 8.32 am on Friday. A magnitude 4.2 earthquake shook the three Caribbean islands just under an hour later. Image via Facebook, The UWI Seismic Research Centre (UWI SRC). Even as Caribbean islands Martinique, Dominica and St Lucia prepared for the havoc Tropical Storm Kirk promised to wreak, the three territories were hit by two earthquakes just under an hour apart. According to the UWI Seismic Research Centre (UWI SRC) a magnitude 5.6 earthquake struck at 8.32 am, followed by a magnitude 4.2 earthquake at 9.27 am. 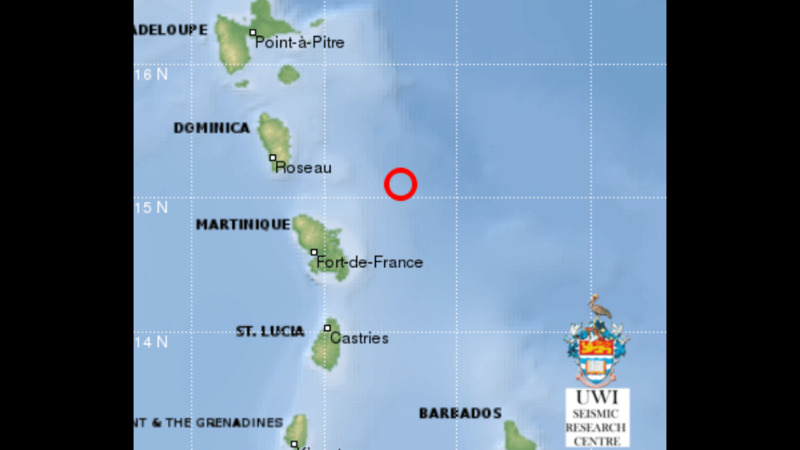 In the first event, the quake was recorded 91 km NE of Fort-de-France, Martinique; 108 km ESE of Roseau, Dominica and 134 km NE of Castries, Saint Lucia. The earthquake was located at Latitude 15.11N, Longitude 60.43W and struck at a depth of 10 km. 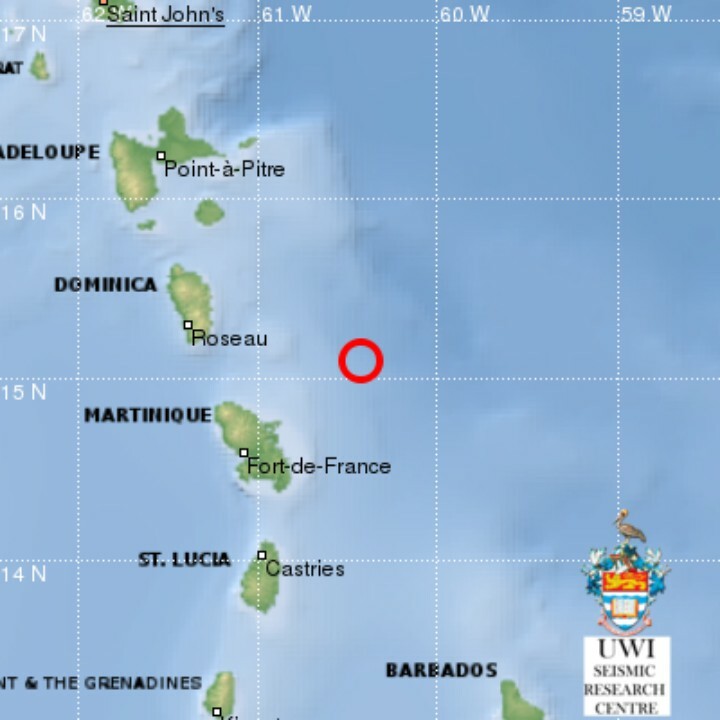 The tremors of the second, smaller event were felt 106 km NE of Fort-de-France, Martinique; 129 km ESE of Roseau, Dominica and 142 km NE of Castries, Saint Lucia. The quake was located at Latitude 15.08N and Longitude: 60.25W at a depth of 10 km. Today’s earthquakes were not the only ones the islands recorded this week as Martinique and St Lucia were shaken by a magnitude 5.4 earthquake on Monday, according to the United States Geological Survey (USGS). The quake occurred around 4.09 pm on Monday at a depth of 15 km. Its epicentre was approximately 81 kilometres off the coast of Le Vauclin, and about 107 kilometres east of the capital, Fort de France. The USGS said it received numerous reports of shaking across Martinique and in St Lucia to the south. The quake was reportedly the strongest in the area since a 5.8-magnitude quake between the Dominican Republic and Puerto Rico in late May. 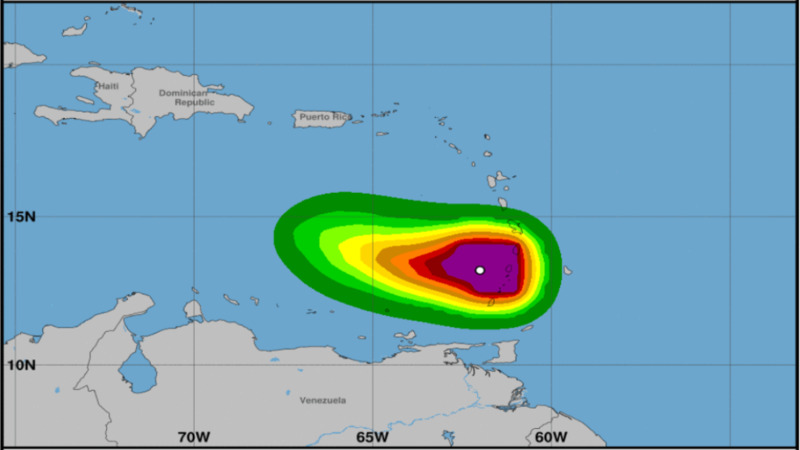 The seismically active Caribbean has experienced some larger events in the past month with the most noteworthy event, a magnitude 6.9 earthquake, having occurred on August 21. 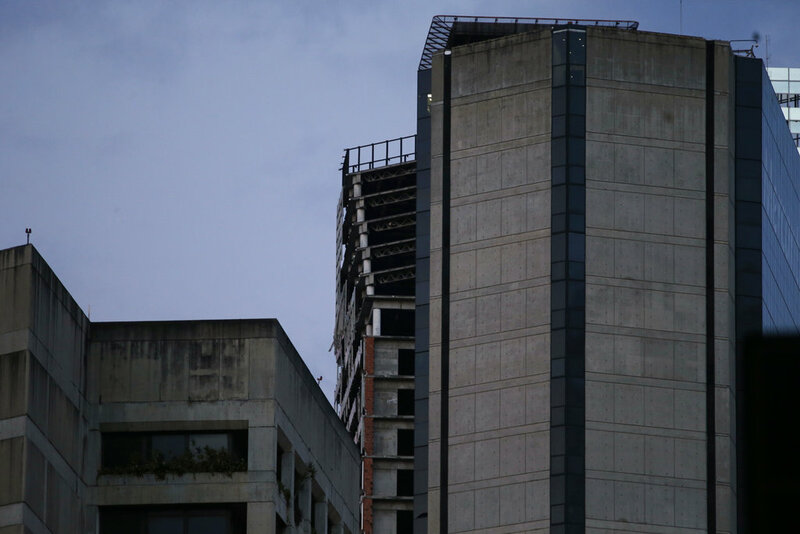 The quake caused the most significant damage in Trinidad and Tobago and neighbouring Venezuela. The SRC assures that subsequent smaller events experienced over the course of the month belong to the normal annual earthquake activity expected from the complex fault systems north of Trinidad and in the Gulf of Paria and are not indicative of anything more significant to come. Since the August 21 event, scientists with the UWI SRC have been investigating significant damage caused in Los Iros, Southern Trinidad. Education and outreach services have also been provided to the public and Disaster Management Units, while a vigorous campaign to ensure all seismic stations are up and functioning has also been undertaken. The UWI SRC continues to stress the importance of constant practice of emergency plans and earthquake drills, which are crucial for preparedness should an event of any magnitude occur.